Mr. Barnes is a Certified Family Law Specialist* with over 25 years of courtroom experience in Divorce, Custody, Support, Paternity, Restraining Orders, Prenuptial Agreements and Probate cases. Call for a free office consultation: 310-821-7745 or Press HERE to email a question. Child custody and visitation including move-aways. Press HERE to see a great video about how to deal with custody disputes in a healthy way. In addition to representing clients in court we also provide mediation services for those who wish to resolve their differences out of court. Mr. Barnes has been practicing family law for 25 years. 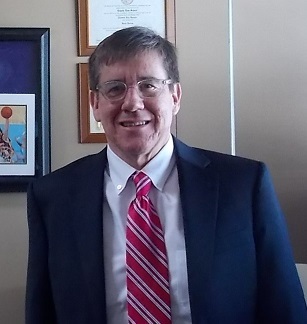 He has extensive experience as a trial lawyer litigating the gamut of family law cases including high-conflict custody matters and high-asset property divisions. He has been recognized by the Speaker of the Assembly of the State of California, the Harriet Buhai Center for Family Law, and Bet Tzedek Legal services for his contributions. He also serves as a court appointed attorney for minor children involved in high-conflict custody cases. It pays to compare before you hire an attorney. Family law Is constantly changing. You need a lawyer who devotes most or all of his/her practice to family law or you risk agreeing to a bad settlement or obtaining an unfavorable court ruling. Affordable Services: In addition to offering representation from the beginning to the end of a case we also offer limited scope services and representation. This allows you to use what resources you have for the most important aspects of your case. We offer specific services such as representation at a single custody or support hearing without requiring you to hire a lawyer for the entire case. We also offer document preparation services in which we will prepare your court documents for fees starting as low as $750.00. Many issues confront persons facing a divorce. Those issues include property rights, financial obligations to creditors, tax ramifications of a divorce, spousal support, and, most importantly, issues related custody of minor children. It is wise to educate yourself before making decisions regarding any of these issues. I strongly encourage people to have at least an initial consultation with an attorney to find out what your rights and obligations are before you make decisions that will affect the rest of your life, as well as the lives of others. We offer assistance in cases ranging from simple, uncontested divorces to high-conflict custody and high-asset property disputes. In addition to providing representation in contested cases we also provide mediation services. Mediation is an alternative to litigating your case. Mr. Barnes is a trained family law mediator. Many couples are able to settle most of all of their divorce issues through mediation. By resolving your differences through mediation rather than going to court you can save thousands of dollars in legal bills. Our office can mediate the entire divorce or specific issues such as custody or property division. Practice limited to Family Law and Estates. By limiting the scope of our practice we are able to keep on the cutting edge of new legal issues. We are here to help you through a difficult time. We know you are probably anxious about your situation. The best way to deal with your anxiety is to get the information you need to make the right choices. You can call or email us with your question or to schedule a free office consultation. Serving clients in Santa Monica, Venice, Culver City, Marina Del Rey, Playa Del Rey, Torrance and through out Los Angeles County. Representation at individual hearings. In addition to offering representation from the beginning to the end of a case we also offer limited scope services and representation. This allows you to use what resources you have for the most important aspects of your case. We offer specific services such as representation at a single custody or support hearing without requiring you to hire a lawyer for the entire case. Document Preparation and Advice for Self-Represented Clients: We can assist you with document preparation and advice simple divorces or individual hearings for a flat fee as low as $750.00. Thomas R. Barnes Attorney at Law is located in Marina Del Rey, CA and serves clients in and around Woodland Hills, Wilmington, Harbor City, Carson, Torrance, San Pedro, Long Beach, Compton, Gardena and Los Angeles County.